Let me begin by saying how honored I am to be here among the creative women of each of the sites linked below. SPRING is right up there with autumn for me. I love both seasons equally. Nature provides us with so many visual inspirations this time of year. So when it came to creating a Spring Mantle (two ways), I knew I’d have fun working on the assignment. Full disclosure, this lovely bouquet was a gift for my late January birthday from my sweet daughter-in-law. It positively is the picture of spring with tulips and anemones, so I had to start early on my spring mantle ideas. The Hare graphic came from The Graphics Fairy. I printed it on vellum and cut it to fit a frame I had in my stash. I framed it over a page from an old book. The Graphics Fairy has a library of free graphics. I can usually find something fun for any occasion. I collect nests and when I find an abandoned nest on one of my walks, I always bring it home with me. The metal rabbit stand is something I’ve had for years. It’s meant to hold a pillar candle, but I’ve used it for candy and now nest-holding at Easter. For spring and summer I turn to my glass candle holders, the candles are the best buy around, from Trader Joe’s. They are dripless and unscented and value priced for $3.99 for a box of 8. At my TJ’s they come in ivory and white. On the other side I have a favorite ceramic rabbit—he’s carrying real carrots and some sprigs of parsley, health food, right? The Hare graphic is the same but the little metal birds are eating some bird seed. I hope you enjoyed my two mantle vignettes. Be sure to visit each of the talented bloggers below. You can never have too many ideas for the prettiest season of the year…SPRING! You can also visit the Pinterest board for more ideas. The talented designers, Cindy Hattersley [Rough Luxe Lifestyle] and Mary Ann [Classic Casual Home] host this series and I have loved every Project Design post they, and the participants, have shared. Be sure to visit the creative team joining this Project Design episode. Very pretty Karen! It looks like many of you went with blue and white on your mantel. I like both of your versions, and thought the one with the Beatrix Potter books was my favorite. Great nod to Easter and your details in that one are just precious! Then you added the clock, and that really made a difference to me. No it is not too cluttered! I love it! Although I will say that sometimes what we like to live with and what photographs well can be two entirely different things. 🙂 Wonderful job! clever you, down to a touch of birdseed! oh so charming karen, both mantles and the fireplace itself is great looking. Karen this is so gorgeous. I need to talk to you about the newsprint bunny. We are doing some similar at the tasting room. Can I pick your brain? Thank you so much for joining us. I knew your mantel would be understatedly gorgeous!! Well done, they’re both very pretty. The birdseed and real carrots make it like a little story– very clever. Talk about adding dimension to a vignette. Have a wonderful Spring-y weekend! I love each version of your mantle. I think having “options” are great so you can rotate through all of them throughout the entire spring season. I’m always rearranging so options are a must for me! The hot air balloon box is nice too. Special mementos are wonderful and makes an interior so much more meaningful, don’t they. Thank you for sharing…what a fun post…I will be sure to check out the rest of the Project Design team. Like the mantel better with the clock. Too spare, somehow, without it (in my humble opinion). Love the touches you added for spring. I love that you got to do this – mantel styling is so fun (especially when it’s done with the seasons!) Love that ceramic bunny, too. And I like the mantel withOUT the clock for sure – Less is MORE!! Love what you’ve done Karen! The flowers are really pretty and I like the bunny..so cute! I agree that keeping things decluttered or very simple is the most aesthetically pleasing approach:) Have a great weekend Karen! Absolutely delightful! I’m a push-over for bunnies and plan to use several framed ones this year, too! Having just tonight finished an Emily Dickinson poetry collection, a gift for our little Caroline, I’m in your frame of mind: bring out the tiny nests, the rabbit drawings, the Beatrix Potter figurines! Love your whimsical approach, Karen. Happy Spring! The carrots are genius! And the tulips opened perfectly… it all looks beautiful. Spring actually is here very early for us on the east coast– normally the daffodils would still be weeks away, but they are up and nearly open, and the weather has been wonderful. HAPPY SPRING! 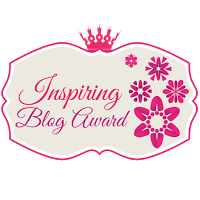 Karen, I just finished looking through the other blogs that participated in this fun contest. In my humble (but unbiased opinion) yours were the best! They are both so charming with all the personal touches. You also have a nice balance of large and small combines with a variety of textures. Great job! So pretty, Karen. Loving the less is more too, and the tulips are amazing! I love your mantles! So happy to have discovered you! Thanks, Elizabeth. So happy to meet you! Beautiful….the blue vase with the tulips is stunning! Thanks, Sherry. And thank you for stopping by!